SCARBOROUGH businesses say locals stayed away during the Australian Surf Life Saving Championships last week but the thousands of interstate lifesavers in town kept trade ticking over. El Grotto manager Mauricio Cury said while the athletes were less inclined to drink alcohol, food sales boomed. The Sandbar owner Ben Randall said the event was fantastic for the area, but affected his morning and lunch trade. Mr Cury agreed road closures was the likely reason locals stayed away. “They like the comfort of just driving here and parking as close as they can,” he said. Cordingley’s Surf manager John Mackean said the area had been better prepared to host the Aussies this year compared to in the past. “There’s a lot more people around and staying in Scarborough,” he said. “I’m sure it’s a lot to do with the end of the construction and the extra things they’ve put on. 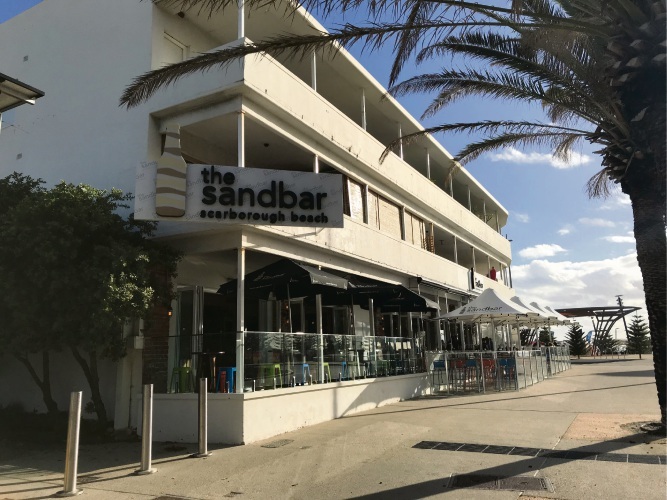 Accommodation providers like Rendezvous Hotel, Seashells and Quest Apartment Hotels confirmed they were full last week. City of Stirling community development director Trevor Holland said traffic management strategies, which included road closures and shuttle buses from nearby Abbett Park, had minimised disruption. However, Scarborough resident Alan Cox said the event and road closures had inconvenienced locals and suggested The Aussies was of little value to the people of Scarborough.